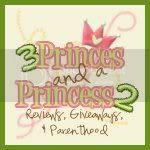 Obsessions of the Trophy Wife: Go Green Pocket Diapers Review and Giveaway! - CLOSED! Go Green Pocket Diapers Review and Giveaway! - CLOSED! Welcome to the start of OTTW's Summer Cloth Diaper Celebration! I wanted to start it of with a Bang! This week I want to talk about my favorite type of diapers....Pocket Diapers! Most of us know and love GoGreen Pocket Diapers; I know I do. I am so excited to take the opportunity to talk about them. GoGreen is always coming up with something new and the latest has been their introduction of the Champ 2.0. I want to take a moment to explain what changed between the original Champ and the new Champ 2.0. I'll start, though, by giving a little info on GoGreen's original pocket diaper. Little Man loves playtime in his regular GoGreen Pocket Diapers. They are your standard pocket diaper. They come with a microfiber insert. The outside is PUL and comes in many cute solid colors, prints and fuzzy choices. The interior is a suede cloth. Unlike your standard microfiber or microterry, this is very soft and doesn't pill. Also, solids roll right off and hardly leave a mess to spray off. I've also never had a problem with stains! The back opening for the pocket has elastic on both the outer shell and the inner fabric. This is great because there's no extra fabric that can sneak out the back and cause leaks. This diaper has three levels of snaps to adjust for size in the front. There is one row of snaps to adjust the waist and a row on each side for the hip snaps. This diaper fits Little Man very well. He is now 26 lbs and 31 inches. They fit his chunky thighs too. The rise is very nice and I can still snap it in three and four snaps in, so there is plenty of room to grow! Now on to compare the original Champ and the improved Champ 2.0! What makes the Champs different from the original pocket diaper is that they have a larger rise, more rows of snaps for size adjustment, two rows of snaps for waist adjustment, an opening in the back and front, a snap on the insert to keep it in place and to use as an AI2 if desired, and double leg gussets. The Champ had two rows of snaps for waist adjustment, but didn't have a hip snap. The Champ 2.0 has the ever important hip snap. This feature keeps the front sides of the diaper from sneaking up or down with movement. I also like that the Champ 2.0 also has extra snaps that face the other way to make the waist able to be adjusted very small for newborns and small babies. It also comes in handy when you forget your wetbag and need to secure the diaper shut so it doesn't make a mess in the diaper bag! I loved the Champ pocket diaper, but there were a few things that I wanted to see changed. I was so excited when I found out that they made those changes with the Champ 2.0! I love the hip snap and the extra waist snaps that fasten to the outside. The best part is that they didn't change their price! The GoGreen diapers are still a very affordable diaper! The quality of these diapers rivals the expensive 'brand name' cloth diapers, yet they are literally half the price! The original GoGreen Pocket Diapers are sold for $9.99!! The Champ 2.0 is sold for $14.95!! They also have amazing and affordable accessories from extra microfiber inserts to wetbags (that retail for $6.99!!) I am also excited for all you aplix lovers out there. They are going to be introducing an aplix conversion called the Adapt-a-snap. It makes your snap diapers into aplix diapers with no sewing!! GoGreen has graciously offered a lucky reader the chance to get a Champ 2.0 of their own! Go to GoGreen Pocket Diapers. Please leave your email address on every entry. Be a GFC public follower and leave me your GFC name. 2. 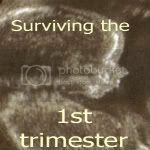 'Like' GoGreen on Facebook and tell me your First initial and Last Name. 4. Follow GoGreen on Twitter and leave your Twitter Name. 5. Visit GoGreen and tell me your favorite fabric and type of diaper. 8. Tell me what you love most about The 4th of July or Canada Day. This giveaway will end August 1st, 2011 at 9:00 pm CST. Winner will be drawn via random.org. Winners will be contacted via email and will have 48 hours to respond before new winners will be drawn. Giveaway is open to US and Canada citizens who are 18 years or older. Only entries that follow the rules will be entered. One set of entries per household. Every entry is checked! * Two diapers were provided free of charge to me for the purpose of this review. I was not monetarily compensated for my opinion. The opinions in this review are mine alone and were formed from my experience with this product. My personal experience and opinions of this product may differ from your own. Facebook is not affiliated with this Giveaway. All information provided cannot be copied or reused without credit. All photos were taken by OTTW and are sole property of OTTW; use of photos without consent is strictly prohibited. 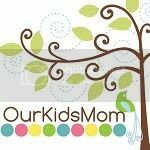 I follow your blog via GFC as Forgetful Momma. I like the Fuzzy Giraffe. On Canada Day we went for a hike and then had a BBQ with my in-laws. I follow you on GFC (Ashlyn). My favorite is the Champ Noir! My favorite part of July 4th is the fireworks! I love Canada Day because my hubby has the day off and we get to spend the day together! have your button on my blog too! i love the burnt hotdogs and taking pics of my girls having fun!!! My favorite thing about the 4th of July is the fireworks and the hot dogs yummy! I love grilling with family on the 4th of July! Like OTTW on FB. Tiffany W.
Like Go Green on FB. Tiffany W.
My favorite diaper is the Champ 2.0 in Moo print. What I love the most about July 4th is getting together with family and BBQs. I like the improvements of the champ 2.0 I just like the prints from the other diapers like the Techno Tushie print, I think that one is great. What I love most about the 4th of July is our yearly camping with friends and family. I publicly follow on GFC. I like OTTW on FB as K. Francoeur. I like GoGreen on FB as K. Francoeur. What I love most about Thee 4th of July and Canada Day is being able to take a day off to spend with family. i like Obsessions of The Trophy Wife on fb. i like GoGreen Pocket Diapers on fb. my favorite dipe is Champ Noir. i love july 4th because it is a day to celebrate our freedom and i love anything patriotic! I like the Champ 2.0 in the Moo or the Giraffe Prints! I love how excited my husband and toddler get about 4th of July fireworks! I don't love having to be the safety police lol. I am a GFC follower as Yesenia Morales. I love the Champ 2.0 and my favorite fabric is the Champ Noir. What I love most about the 4th of July is the look of excitement on my son's face when watching the fireworks. my favorite part of the 4th of july is celebrating with friends and family! I love the fireworks...oh, and having a day off work! I love the fireworks on the 4th of July! And having a big BBQ with my family and friends! i love fireworks and BBQs on canada day! what i love most about 4th of july is the fireworks and the patriotic stars everywhere! i love those two things anyway, but i literally tear up at 4th of July fireworks.. even more so now that I finally married my sailor..
i love the Champ 2.0.. and actually the noir is really cool.. i love the giraffe but i have something similar! I like go green on facebook! I follow go green on twitter! I like the go green leafy champ pocket diaper! Your event button is on my blog! My favorite part about 4th of July is the cookout food! Yumm! I like the Giraffe Champ 2.0.